South Goa, one of the two districts that constitute the state of Goa. Much more calm in comparison to North Goa, South Goa is characterized by golden enchanting beaches, fields of paddy and palm trees. The district has a rich collection of temples, forts and churches which tell many a historic tale to curious travelers. 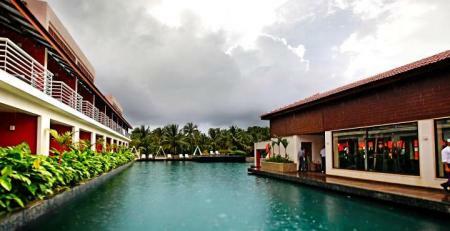 For a tranquil and invigorating weekend, South Goa is the perfect getaway for you. A perfect holiday option filled with long walks, short naps, cosy picnics, some hip-shaking music and bike rides through the green countryside. Come here for a relaxing holiday and you are sure to be captivated. The Skylark resort, situated at a 5 minute walk from the powder white sand of the Colva beach, is a simple but beautiful spot. One can either soak up the sun in the pool/beach or there are many quiet corners where one can settle down for a quiet read. 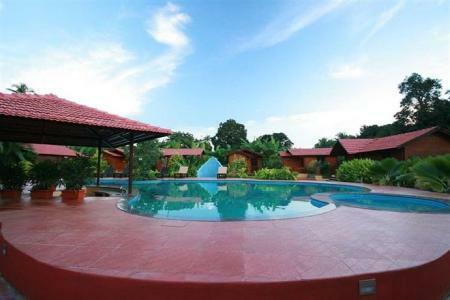 La Grace Resort is a peaceful getaway near the Pristine and Vaddy beaches of Benaulim. Highly motivated and well trained staff provide wonderful service. 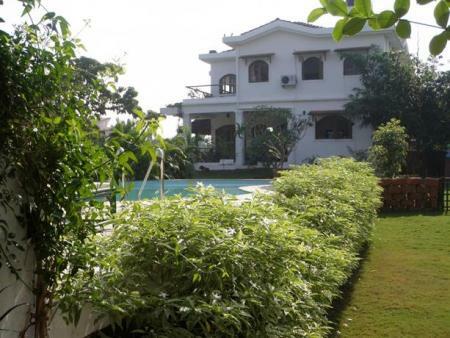 Lush green gardens and a pool help one to laze around and soak in the warmth of the sun. If you're looking for a leisure holiday and for good hospitality, La Grace Resort is the answer. 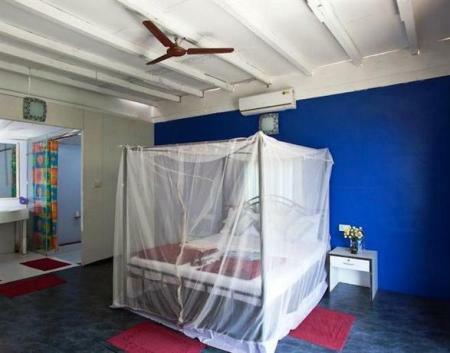 Heaven Goa is a small, cosy and clean Guesthouse in Colva, South Goa. The place offers 12 large rooms, each providing necessary amenities for a comfortable stay. 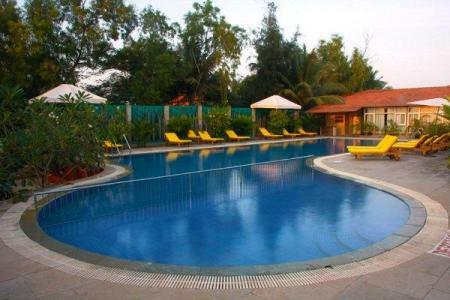 An outdoor pool and the surrounding greenery provide a peaceful atmosphere to relax and have a homely holiday. The Beach House Goa is a retreat, located on the Sernabatim Beach of South Goa, offering a variety of innovative wellness programs for absolute rejuvenation. Blending old traditions along with new modern techniques, the Beach House Goa provides both medical and holistic therapies in stunning surroundings. 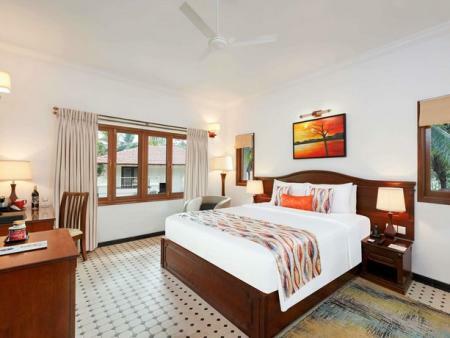 Relax and revive yourself in the well designed rooms and luxurious environment of the Beach House Goa. The Treehouse Blue is located in the city of Majorda near the famous Majorda Beach itself. 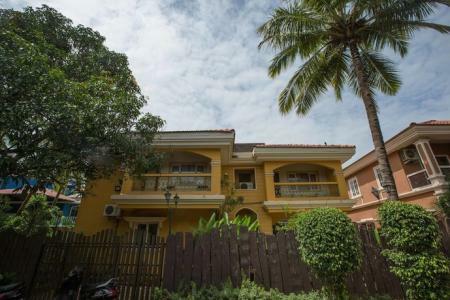 It is a proper eco-friendly and green revolution property. The whole place provides 6 spacious Studio apartments and 18 One Bedroom apartments with contemporary furnishings, offering a full range of modern and high standard amenities to serve family, business and leisure travelers. 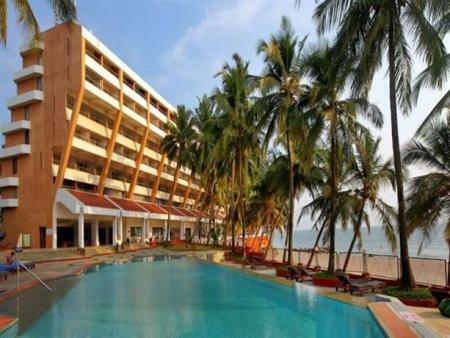 Planet Hollywood Beach Resort is located on the Uttorda Beach between the southern beach of Majorda and the northern beach of Cansaulim. The hotel is exhilarating with low-rise architecture representing the Goan style, beautiful landscapes and alluring art work. Each block of rooms represents a distinctive theme of Hollywood genre and this makes Planet Hollywood Beach Resort a place to revisit just to discover each individual block. In total, being the first Planet Hollywood holiday resort outside the United States of America, it is a must visit. 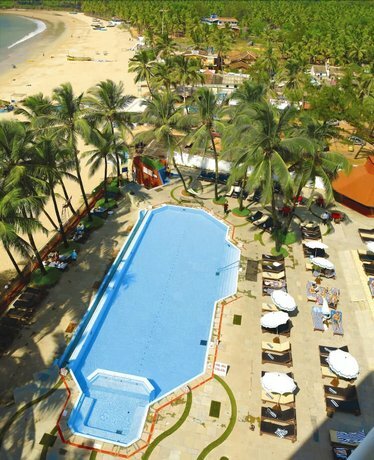 The Fern Beira Mar Resort, of South Goa is a great combination of a relaxed resort experience as well as a lively one. The Resort with its 22 well-furnished Wooden Cottages sits still along the sublime Benaulim beach. 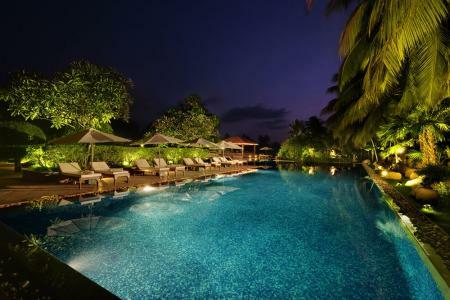 The place has numerous facilities including an Outdoor Swimming Pool and a Spa. 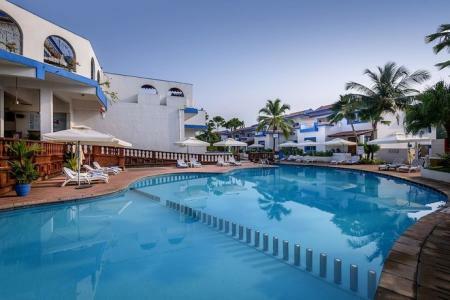 The Fern Beira Mar Resort, is situated in such a manner that the Benaulim beach is at a minute walk away, the shopping area is 7 Kms away and the famous Colva beach is 3 Kms away. 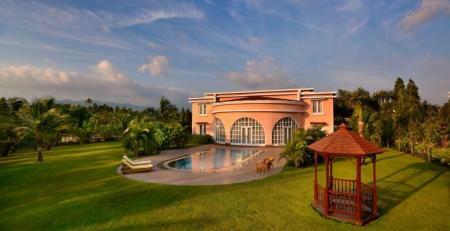 Raj Resorts is a typical Indian family run resort located near the Bogmalo beach. This resort gives you a proper opportunity to relax and pamper yourself. It is 25 minutes away from Panjim (the shopping paradise of Goa) and 15 minutes away from the port town of Vasco-da-gama. The surrounding countryside also provides a beautiful scenery for peaceful walks for those who prefer to rest near the resort. 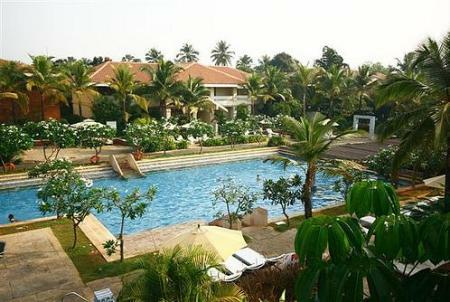 Coconut Creek Resort, a former coconut plantation, is located 3.7 km from Dabolim train station, 5 km from Goa International Airport and 9 km from Baina Beach. 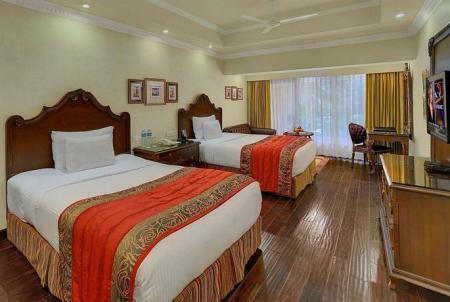 Pristine rooms are offered along with TV, free Wi-Fi and minibar facilities. Parking and a breakfast buffet are included in the room price. To top it all, Yoga classes are available at the wellness spa. Sapphire seas, emerald palms and ruby sunsets welcome you to the land of Goa. 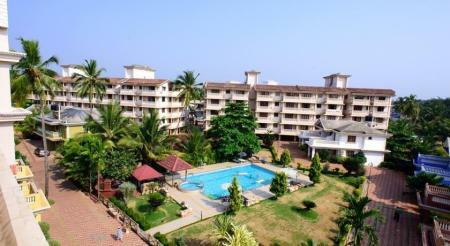 At Martins comfort, they make sure you experience every bit of beauty of South Goa. 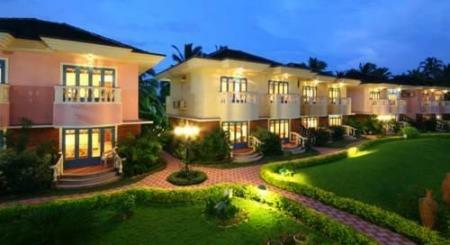 The hotel offers a combination of traditional Goan hospitality along with modern contemporary living. Martin's Comfort has been designed in such a way, with exquisite service and much thought, that it is the perfect escape from the mundane everyday life. 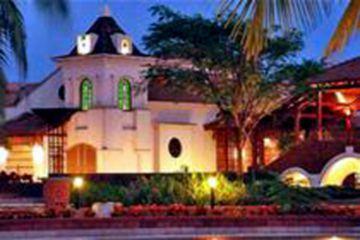 The quiet and cozy Beach Club Benaulim, better known as Karma Royal Benaulim today, is situated in the heart of the city. 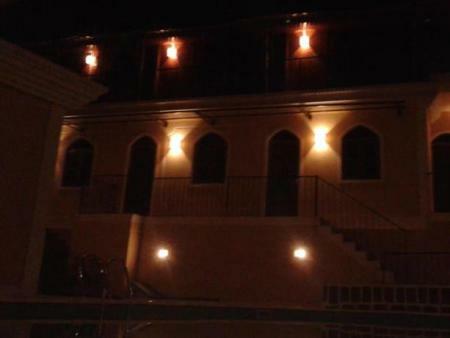 It is an exclusive members club with large apartments that make it seem like a holiday village. The apartments are tastefully decorated with a lot of open space to help you relax and sports facilities, along with many other modern facilities, are available in the common area. One of many places lining Sernabatim Beach, Anthy's, has gotten good reviews from its travellers. It has been praised for its good restaurant, its well-kept chalet-style rooms, and for the availability of Ayurvedic massages. Neemrana's Cabana Dempo, one of Neemrana's Noble Homes, is a beach front heritage beach bungalow at 10Kms South of Panjim. WiFi, Jacuzzi, swimming pool, home theatre and many open areas are all available for guests to laze around. 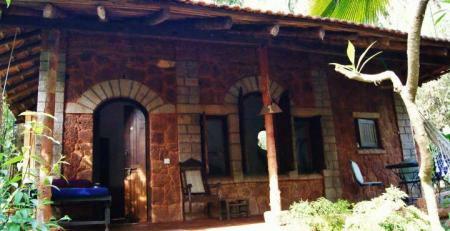 Recommended for family groups looking for a peaceful getaway from the busy hustle of other Goan areas. 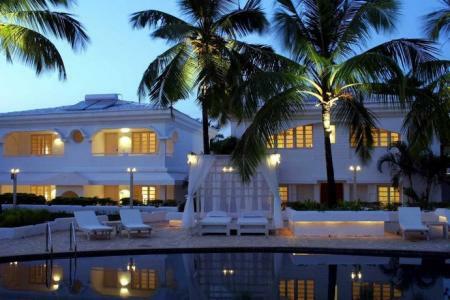 Karma Haathi Mahal, is a resort located seven minutes away from the silver sands of Cavelossim Beach. 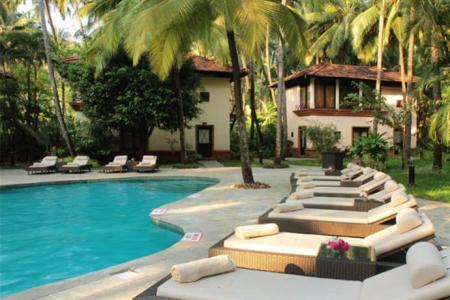 This resort provides everything necessary to relax into the Goan way of life. Sip drinks at the swim-up pool bar, let go of stress at the spa treatments or uncover fabulous food served from the poolside grill or at Casa Lisboa. Beyond the resort walls, the beautiful city of Cavelossim is waiting to be discovered. Soul vacation redefines luxury. 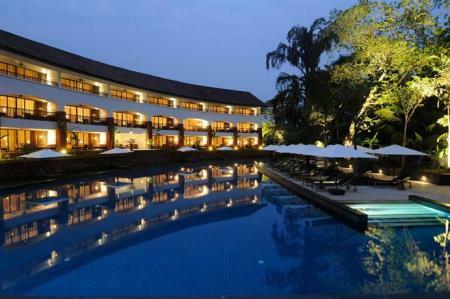 With a beautiful ambience along with warm traditional Goan hospitality, the resort offers an unforgettable stay. At the Sunrise cafe, traditional Indian food is served along with contemporary international cuisine. At the Soul Spa, luxurious facilities allow you to relax and renew your body, mind and soul. At the Sunset bar, delicacies are offered with exotic mocktails, fine wines and various other classy drinks. 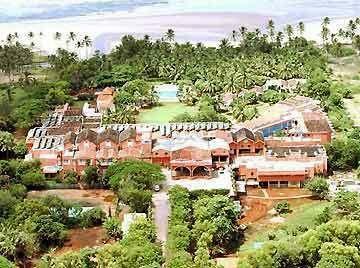 Devasthali, at 700 meters from the sublime Hollant beach, surrounded by hills, is an award winning luxury resort of Goa. 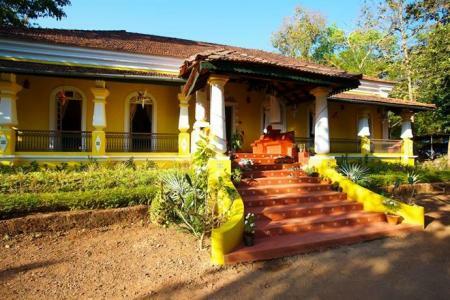 This rustic Goan setting is a treasured destination of numerous travellers. Spacious rooms with classy interiors, beautifully landscaped gardens, great cuisines and a fabulous Spa, form a unique Indian paradise. 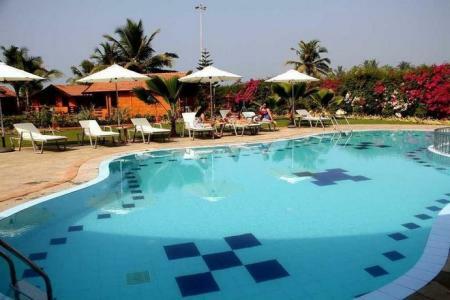 Eco Leisure resort and spa is located on the coastal land of Betalbatim beach in South Goa, India. It has ten amazing cottages; all build on sustainable theme with Zero CO2 carbon footprint, with medieval thatched bamboo mats and contemporary interiors. Surrounded by numerous coconut trees along with a fresh sea breeze, the spacious cottages sit on the beach overlooking the Arabian Sea. Various cuisines ranging from fresh seafood, live bbq, Chinese, continental as well as authentic goan style food are offered. The resort is all about the beach and enjoying a vacation in an Eco-friendly manner. 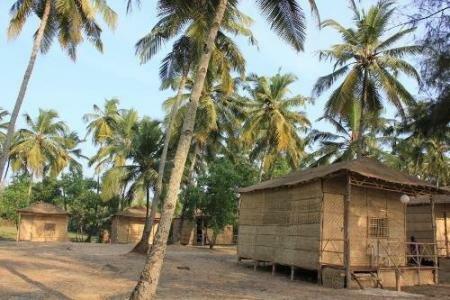 Majestic Beach Comfort's 20 individual wooden cottages allow guests to experience the Goan way of life and tend to give a homely feel. 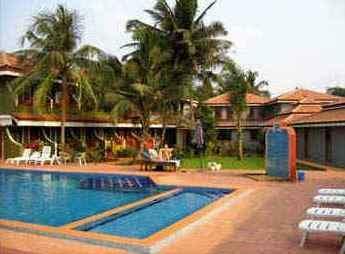 The place is located near the white sand beach of Varca Goa and is ideal for all types of travellers; friends, families, couples, etc. The quiet and calm surrounding creates a blissful atmosphere to laze around and have a timeless holiday. 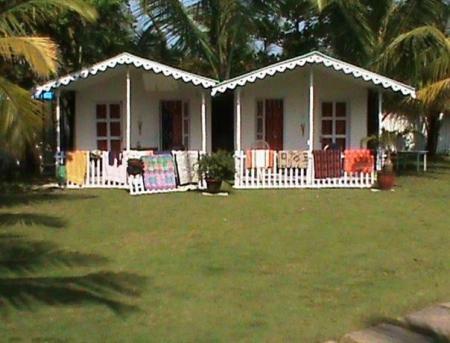 Beach Bay Cottages is located among swaying palm trees and is tucked away in the Bogmallo village of South Goa. The 15 beach cottages have a beautiful view of the Bogmallo Bay and the place provides complete privacy, serenity and peace, away from any sort of hectic activity. 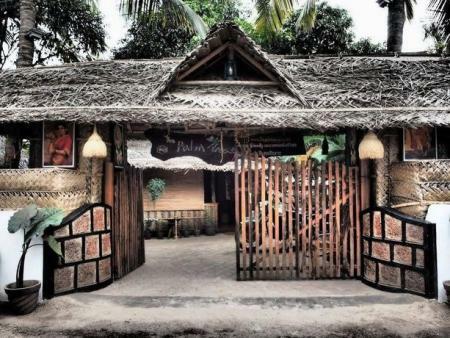 Beach Bay Cottages offers fine dining at Sangela's Dining with multi-cuisine options. Water sports and activities such as Dolphin spotting can be requested and various events such as weddings can be held at this breathtaking venue. 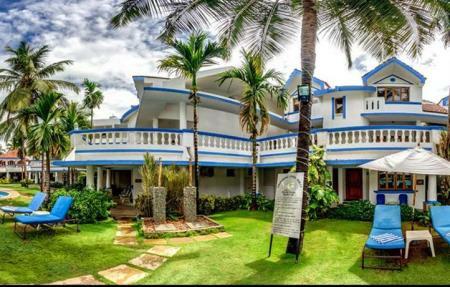 Tutti Garden Bungalow, located around 50 meters from the Agonda Beach, is a coconut tree garden area meant for travellers looking for a peaceful, quiet getaway. Modern facilities such as free WiFI, on-site bar, room service, bicycle rental, etc, are available. 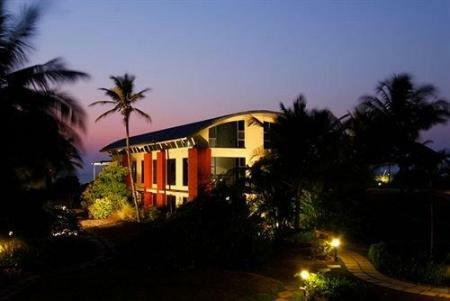 Castle House Palolem is a getaway located near the Palolem Beach and Agonda Beach. 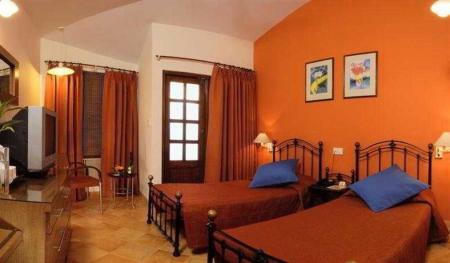 It contains modern rooms with all the necessities needed for an enjoyable stay. 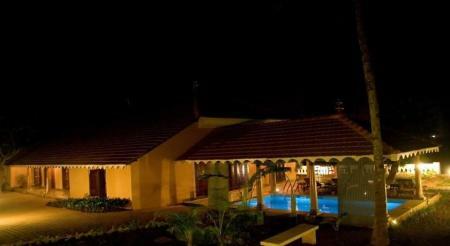 Castle House Palolem is also equipped with a swimming pool, restaurant, bar/lounge, WiFi and good service. 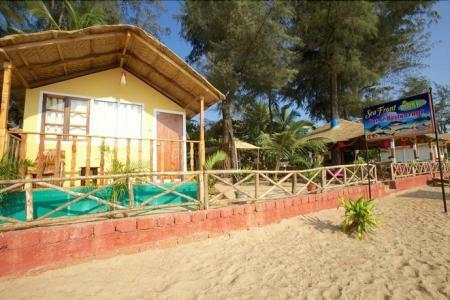 Dwarka Eco Beach Resort provides a comfortable setting when in Canacona. Located beside a freshwater lagoon and overlooking the sea, Dwarka's thatched huts built with woven palm walls provide a spacious, secluded holiday. Leave the world far behind, take in the stunning views and soak in the few undeveloped beaches of Goa in this spot. 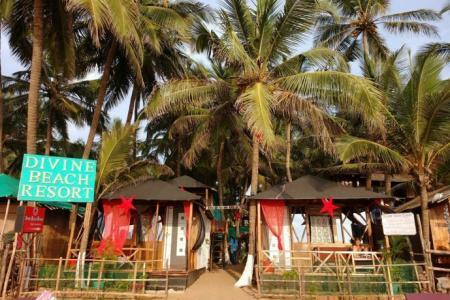 Located on the southern part of the Patnem beach in South Goa, Sea Front Beach Huts provides three types of rooms; Beachfront Huts, Sea View Huts and Partial Sea View Huts. All the huts are spacious and comfortable. The resort is situated in an ideal spot with close proximity to the happening nightsports such as Leopard Vallye, Silent Noise as well as various beaches such as Agonda, Cola and Cabo de Rama. 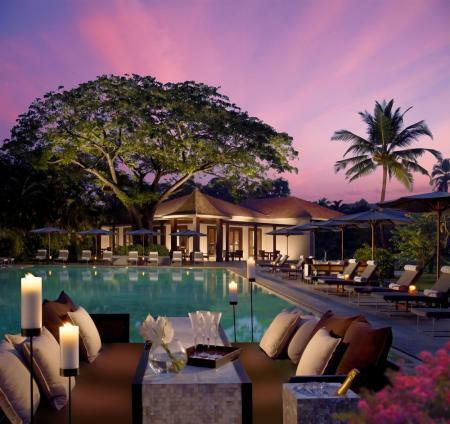 A perfect spot to either relax or discover the southern Goan culture. The Palm Tree's is a private resort with clean cottages decorated in a traditional Indian style that provide a warm and cozy atmosphere. The resort is equipped with good modern facilities and the professional staff create a homely environment away from home. 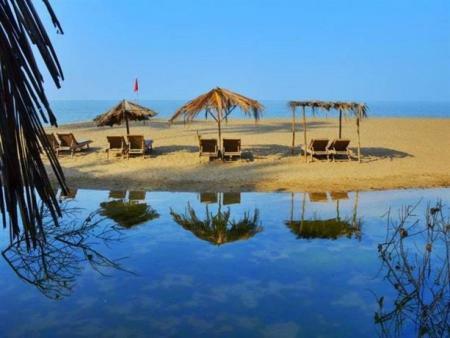 Located 2 minutes away from the Patem beach, the Palm Tree's resort is a quiet and peaceful getaway. 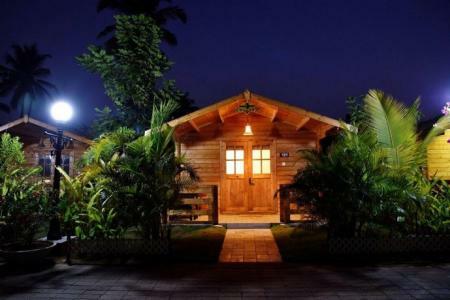 Located near the Palolem beach, The Fern Gardenia Resort is a beautiful concept of 18 exquisitely crafted wooden cottages with open spaces and modern amenities. 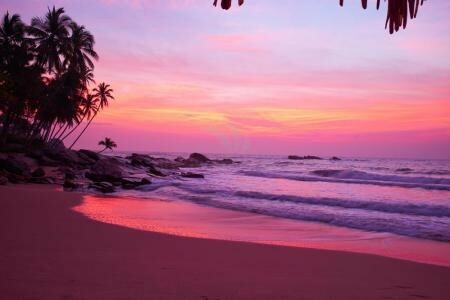 The main goal of the resort is for clients to experience a unique Eco - Sensitive vacation at Palolem beach, the best alternative to the crowded beaches of North Goa. Cuba Patnem is located on the golden sands of Patnem beach. 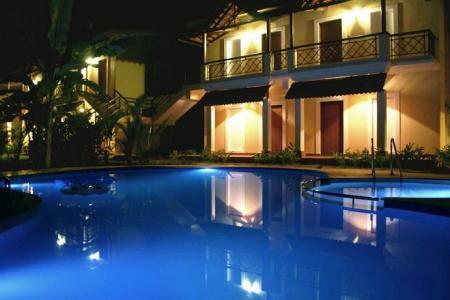 It consists of fifteen colourful wooden (both A/C and non A/C) cottages set among tropical palms. 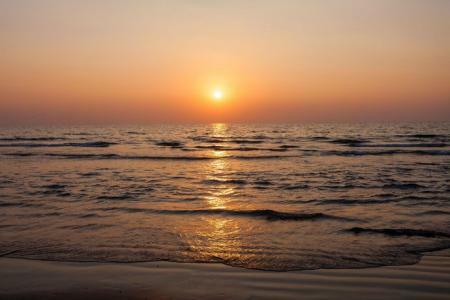 Facing the Arabian Sea, it is a perfect spot for peace lovers. Enjoy dolphin-sighting boat trips, swimming, sunbathing, and hiking. Float in the still sweet-water lagoon, where the river meets the beach. Take a kayak and go for a paddle. Sleep peacefully to the sound of the waves. All at the Blue Lagoon Resort. 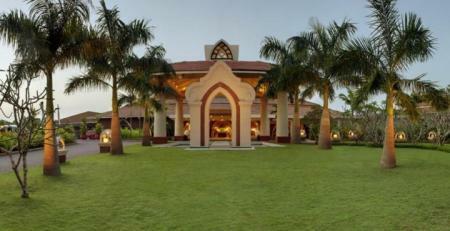 Lalit Golf and Spa is a resort located along the southern Goan coastline. 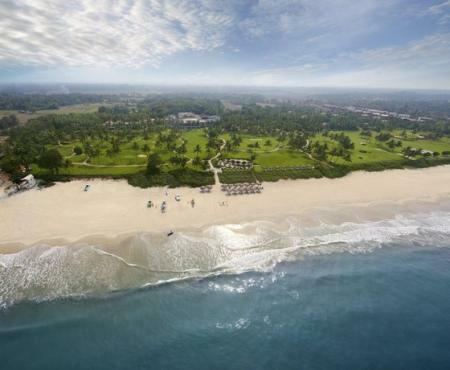 Amidst Baroque-Portuguese style architecture, diligent landscaped gardens along with an international standard golf course and a signature spa, at Lalit, oceanfront privacy and seclusion is a true life style. 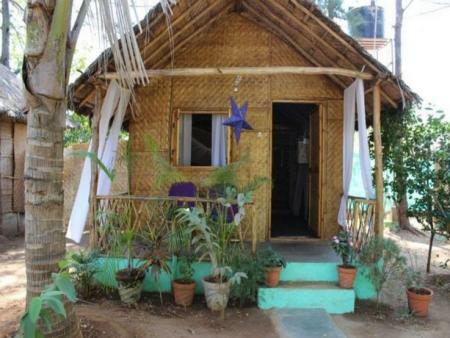 Set in Palolem, Canacona, Bhakti Kutir offers twenty two back-to-nature cabanas. Constructed with natural and local materials such as bamboo and rice straw, the cabanas have been shaped to allow clients to feel one with nature. A down to earth getaway. 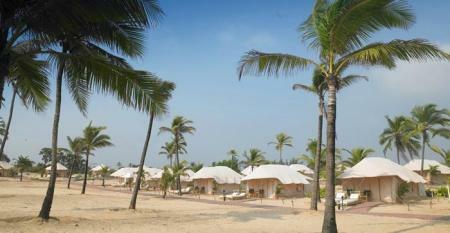 Sand Sapphire provides ten huts on the white sand beach of Agonda. 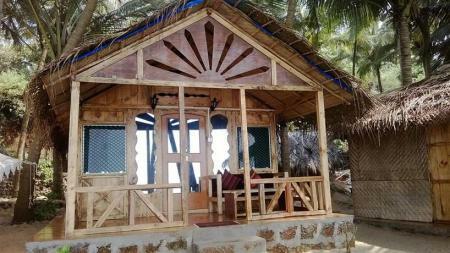 All the huts have basic amenities from free WiFi to hot showers and are well furnished. 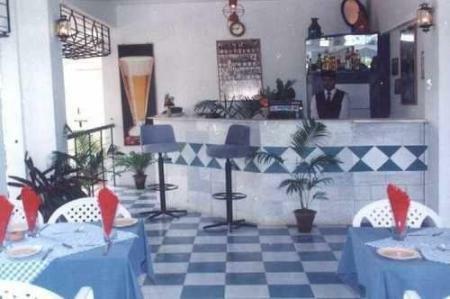 The restaurant in Sand Sapphire serves continental, Indian, Chinese, Mexican, Italian food and a well stocked bar is also available. 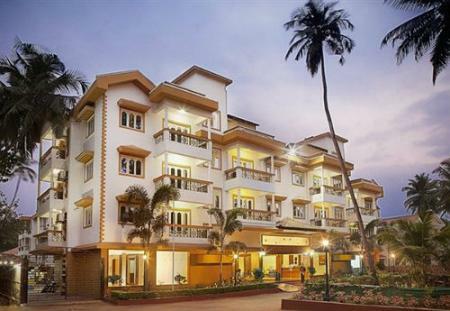 The Divine Beach Resort is situated 5 kms from Cola beach and Butterfly beach and is in close proximity to all various popular beaches like Anjuna beach, Calangute beach and Patnem beach. 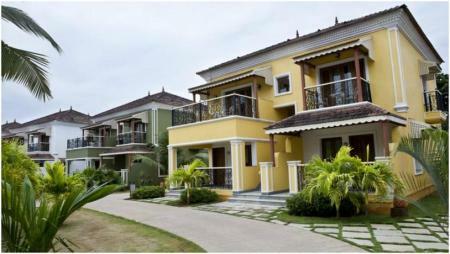 At Divine Beach Resort, they have created an artistic, divine ambience amidst a lush green environment. 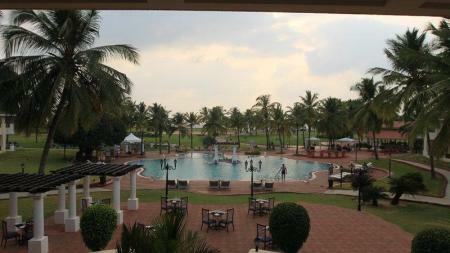 It is ideal resort for all types of travelers; both business and leisure travelers and of all age groups. Goa Chitra : One of the well known museums in the city also serving as an art gallery with close to 5000 articles that are available in the form of a non-commercial exhibit giving travellers some good details about the history of the region. Canopy Ecotours : A well known eco-sensitive initiative which gives travellers a guided tour of the goan countryside while giving them a chance to satisfy their appetite for some breathtaking photography while witnessing the rich flora and fauna of the region. 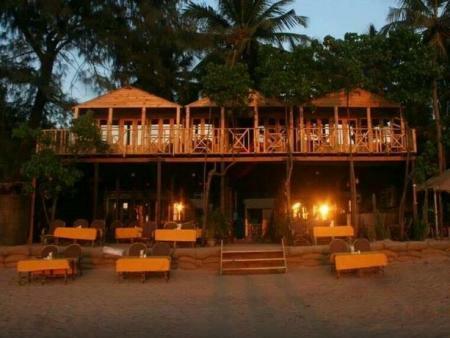 Cafe Del Mar : Located in Palolem ,the cafe is one of the most exciting places to be at especially for some fun-filled dining as the restaurant has a dance floor made out of glass, pool tables as well as a bar that runs for 24 hrs. Pipkins: Located at Cavelossim ,the place is one of the biggest party zones in South Goa with the beachside location adding more to the fun. The restaurant is mostly busy with parties through most of the year with live DJs as well as bands coming in to perform . Manthan: Located near the Taj Exotica , this is the place to hit if you are looking for some rare articles, antiques or clothing.